Restaurant Me. 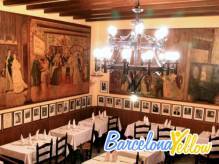 Describes itself as a fusion of of Saigon, New Orleans and Barcelona. Highly acclaimed chef and "to die for" food. Reservations recommended.